We have a shelf in our kitchen where we keep items that are definitely not kitchen type items. It is sort of our version of a junk drawer. This miscellaneous shelf has a tendency to become cluttered. It has an ever-changing purpose and is therefore hard to keep in check. I organized this shelf quickly this week and I feel that its purpose is now defined. One of the lessons that I have learned in my pursuit of minimalism is to keep like items together. This enables you to see how much of something you have. It is a wonderful lesson, but one that slips my mind now and then. 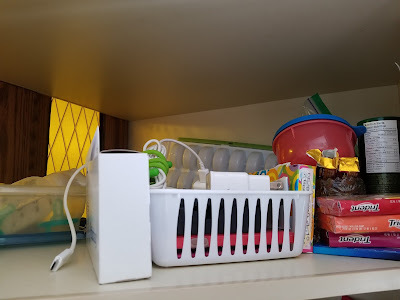 I made the mistake of hiding some of my sweets on this shelf. 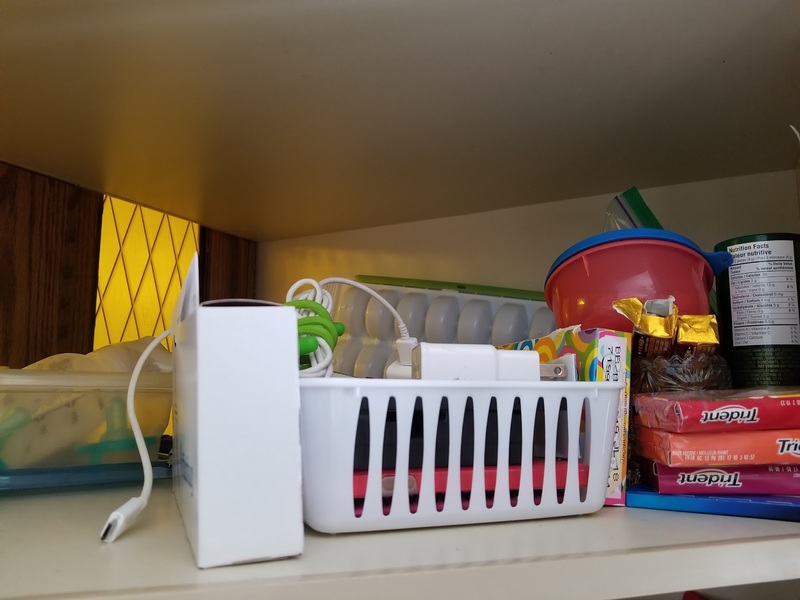 I have a perfectly good spot in the pantry for my sweets so I relocated them there. I removed the baby food tray, as Miss. Em won't be needing it any time soon. I located a better storage container for my pump parts and Miss. Em's soothers. This cupboard looks so much better and it is much more organized. 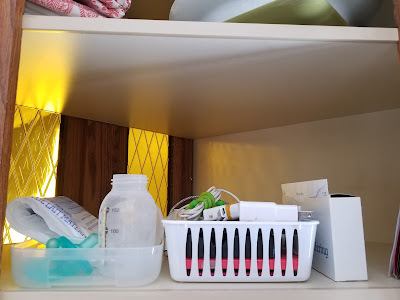 This cupboard is now reserved only for pump parts, soothers, phone chargers, offertory envelopes and take out menus. This was another quick project and only took a few minutes of my time.